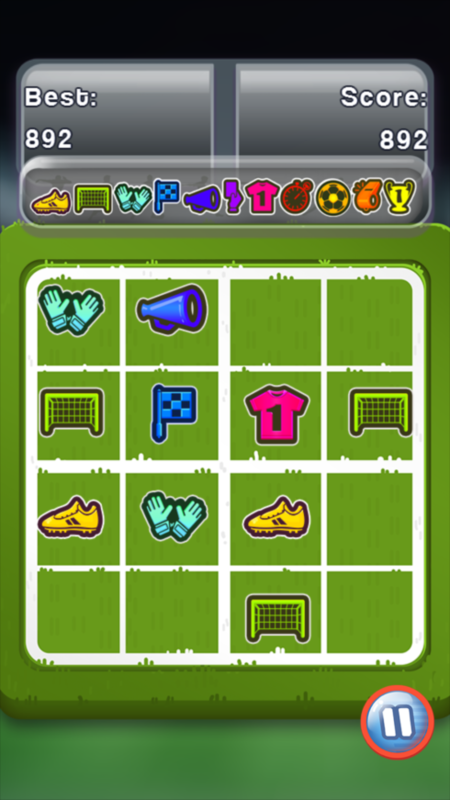 One of the most addictive game phenomena on mobiles and the Internet has returned to get football fans hooked! The idea is simple but gets challenging quickly: combine items by swiping either left, right, up or down. 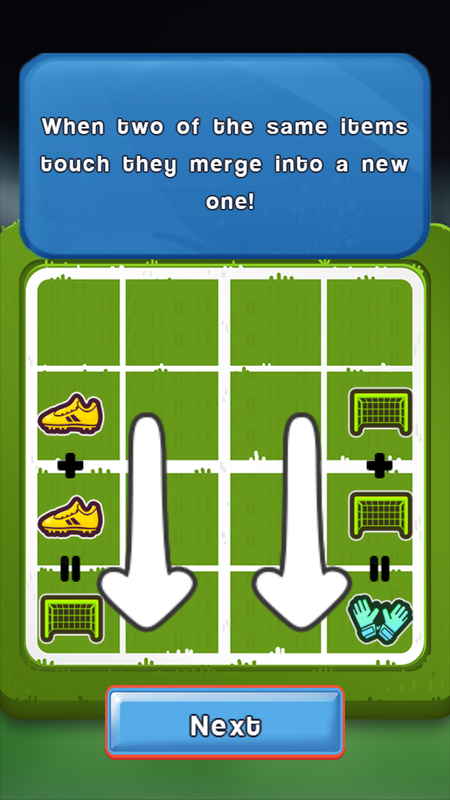 Two shoes make a goal, two goals get you gloves, two gloves get you a flag and so on. 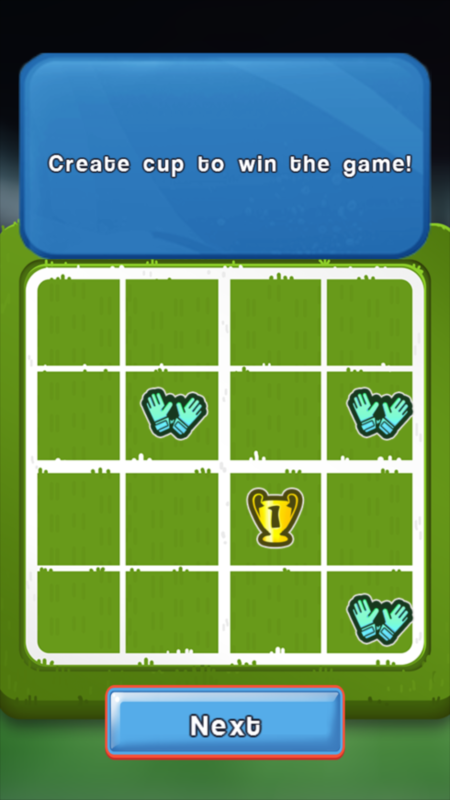 Can you reach the trophy and win the game?